After a relaxed morning hanging out on the boat Peter (my twin brother) and mom arrived around 11 AM. The morning started off with heavy rain, which eased to showers and then clouds and sunbreaks later on. 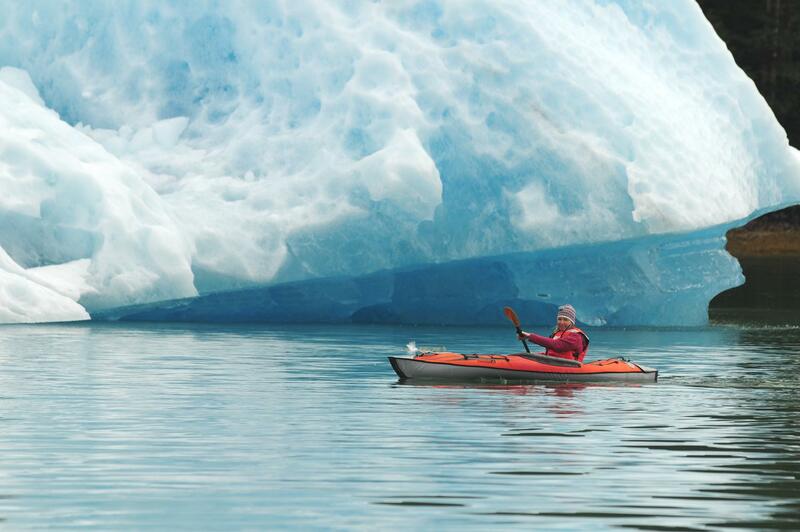 As soon as Peter and mom arrived we left Petersburg, bound for LeConte Glacier. I had been in a week before and cruised effortlessly almost to the face of the glacier. Unfortunately, today wasn’t quite so easy. To start with, the entrance bar (really a terminal moraine) had a ton of ice on it. Way more than last week. I got through easily enough, but there was a lot of ice in the water. Mostly the big stuff, easy to avoid, but devastating if you hit it. As we rounded the first bend I had to slow down to displacement speed while constantly steering around ice. The ice let up a bit, but soon thickened. 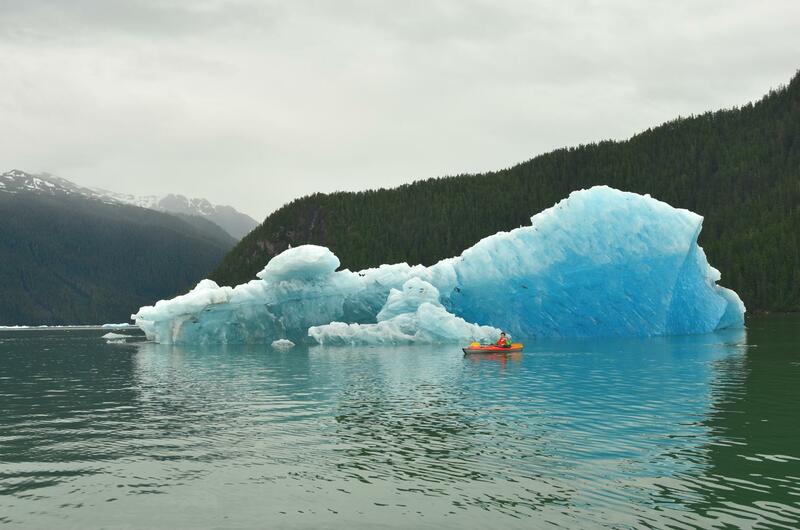 Anyone who’s driven a small fiberglass boat through an ice floe knows that the sounds are awful…grinding, crunching, clunking. And the whole boat shudders. Just a few miles into LeConte Bay, still five miles from the face of the glacier, that’s what we were experiencing. Reluctantly I turned around. We moved the boat into a clearer patch of water and Peter and mom took turns paddling around in the kayak for a few hours. 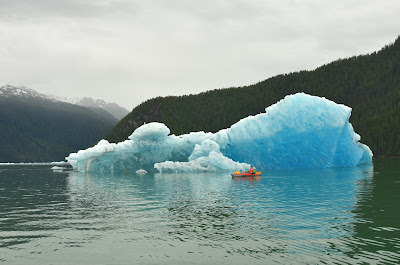 We grabbed some ice for the cooler as well, and watched as some giant bergs floated by. By giant I mean the size of a moderately sized house! After the kayaking we headed back towards Petersburg. The trip back was easy and I avoided running into any floating ice. 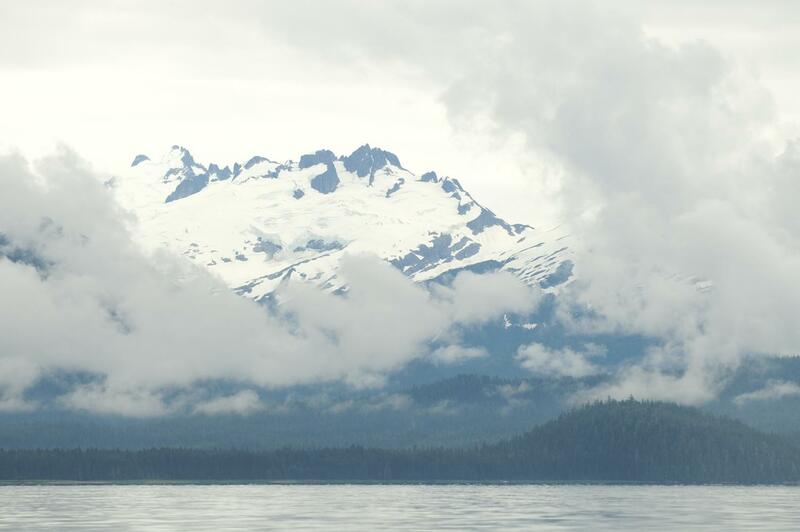 The World, a 600+ foot condominium cruise ship was still anchored just outside of Wrangell Narrows when we returned. Interestingly, I had seen this ship in Sydney Harbour (Australia) several years ago during New Years, and again in Friday Harbor (San Juan Islands) sometime in the past few years. It sure gets around! In Petersburg we filled up with gas, bought lots of groceries, and generally got the boat ready for the next five days out.